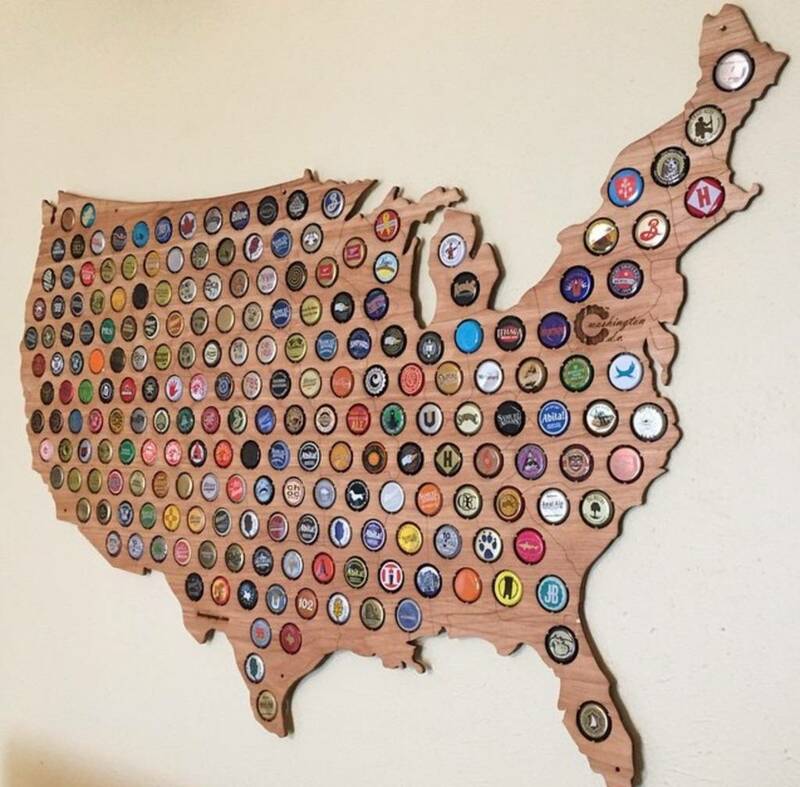 A United States themed map to hold all of your various bottle caps. 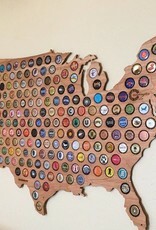 Features borders of every contiguous state in the US. All holes are cut with small notches to allow easy placement of bottle caps. Made in Madison, Wisconsin. Made from 5mm thick plywood.